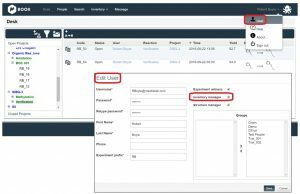 Many organizations choose an ELN, deploy it, get it adopted, train their users, etc. After all this effort is done, they start again with an inventory solution. 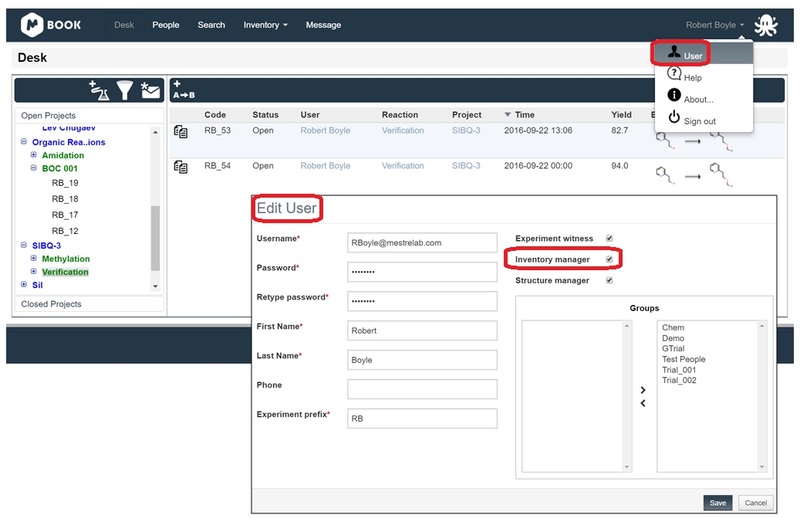 Mbook comes with inventory integrated, so you deploy and adopt one application, which fulfills both functions with no additional effort and no integration concerns. This tool has been automatically updated on your Cloud version. For in-house installations you will have to update it to Mbook 1.1. 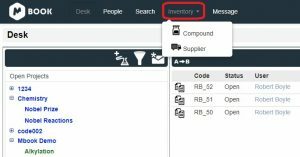 Preliminary step: Become an inventory manager! 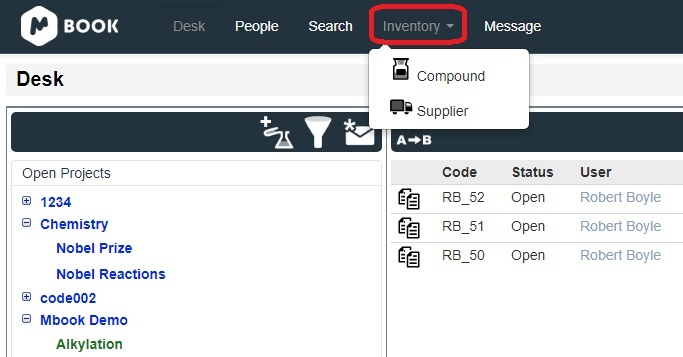 Any user of your group can read the information available on the inventory section. 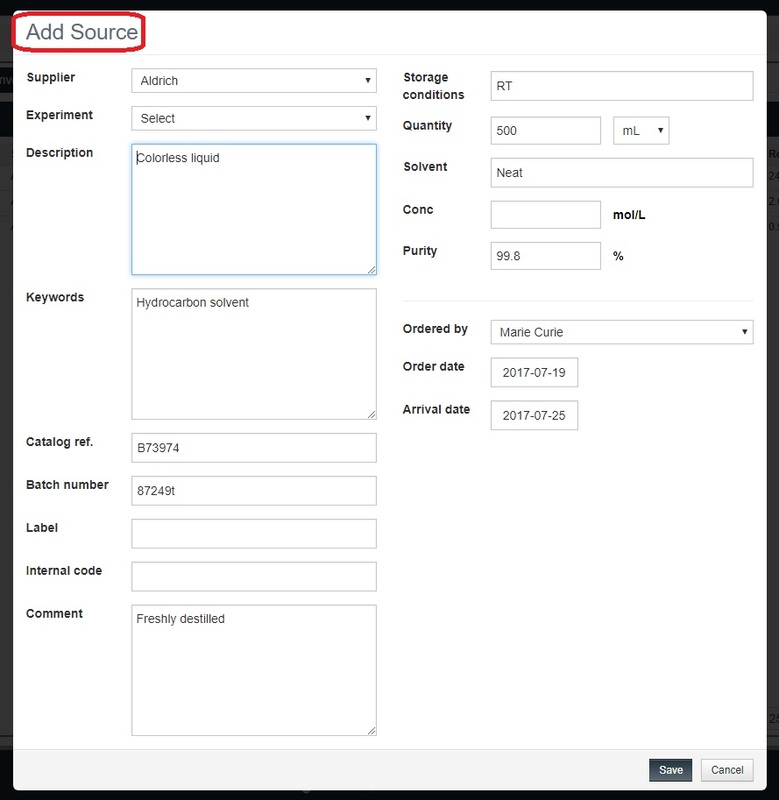 In order to add or edit any entries you will need access as an inventory manager. 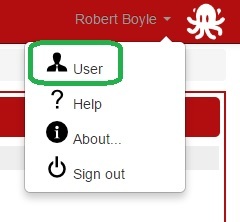 For this, a user assigned as group manager can go to the user options on the top right corner and select “edit user”. 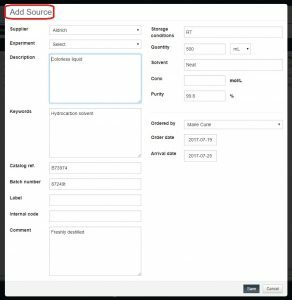 Here you can enable or disable the inventory manager privileges for any of the users. 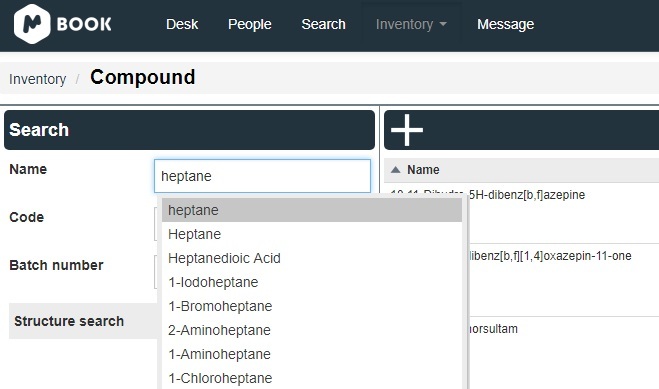 The inventory tool can be found on the top bar menu and it is linked to the compound database entries. 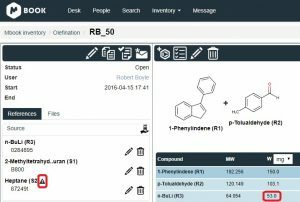 You can enter or edit new suppliers as well as searching for any compound in your Mbook’s database. 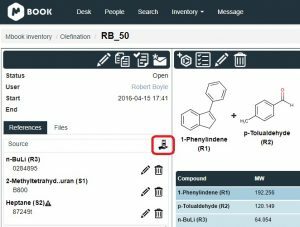 Click on it and go to the “inventory” tab for this compound. Here you can see we have three different entries from different suppliers. 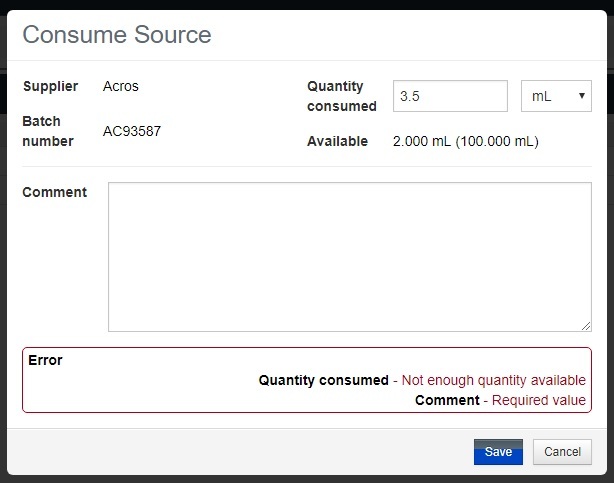 This window also displays details such as status, batch number and remaining amount for each of the bottles. 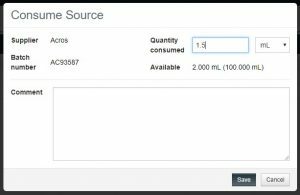 As an inventory manager you can add a new entry or edit the information of any of these bottles such as description, quantity, purity, ordering date, who ordered it, etc. Then just save any changes done. 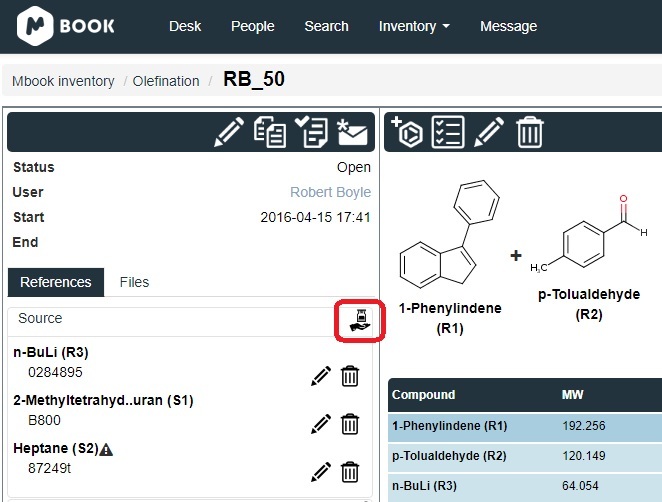 Any user can go to Mbook’s desk panel and use the inventory entries to link them to an experiment. 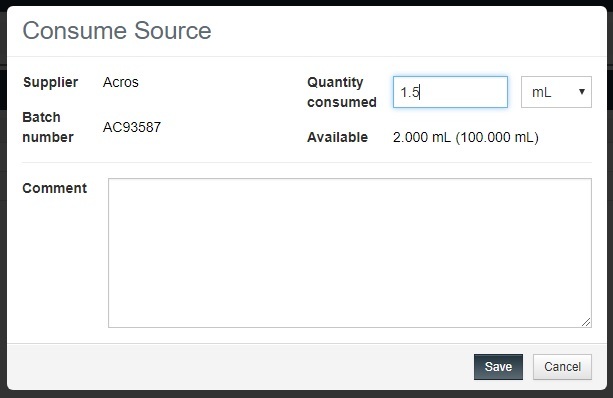 Let’s click on a recorded experiment, for example this olefination, experiment #50, and check the entries for the reaction participant you prefer by clicking on the “consume source” icon. 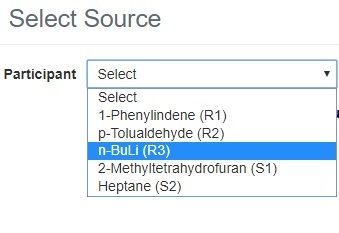 Now you can set the amount you have used of each chemical on any of the source entries. 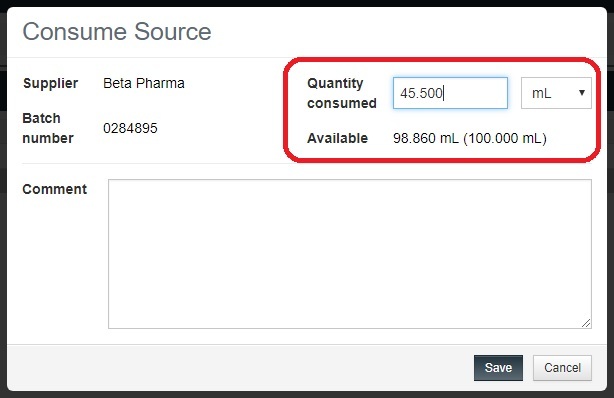 Besides the available amount on each of the source bottles it also displays the “quantity deficit”. 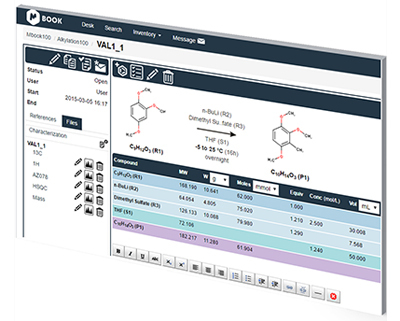 This shows you the amount of participant required for the reaction as per the stoichiometric table. You can register a value on the “quantity consumed” box to keep track of your chemicals as shown below. *Note: If you use a bottle with a different purity than the one recorded on the experiment table, then this new purity value will be automatically updated. 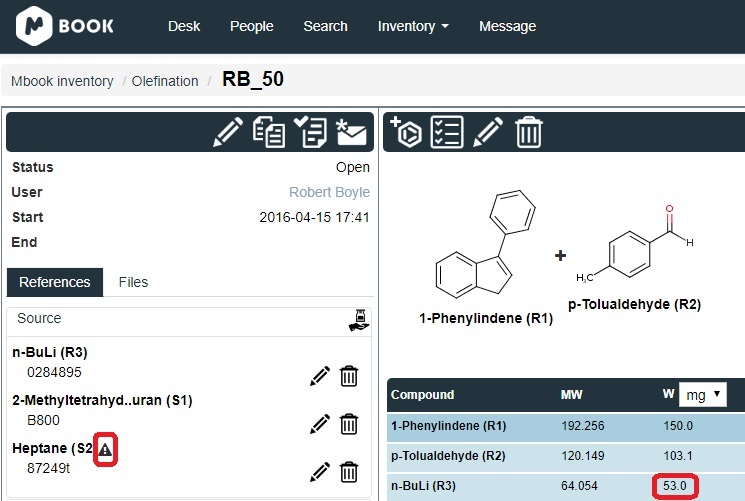 In this way, you can keep track of your chemicals in the lab in a very simple manner and everything integrated in your electronic laboratory notebook. The inventory tool will also try to help you to avoid mistakes when recording your entries. -If the quantity consumed is lower than the required as per the stoichiometric table, the warning message will be displayed on your source panel with an exclamation mark symbol. -If this is the case you will just need to edit the value to a suitable one and the warning message will disappear.